Located minutes from historic buildings and museums. The hotel features an indoor pool and whirlpool, sauna, exercise room, Business Center, as well as meeting and laundry facilities. Complimentary continental breakfast and newspaper offered each morning. All suites are furnished with refrigerators and microwaves. All units feature hair dryer, coffee service, iron/board, data port, high speed internet, and Cable TV. 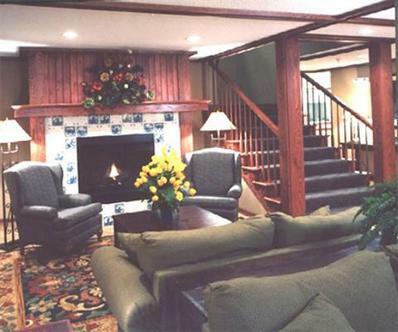 Whirlpool suites are available as well as extended stay suites. Three full service restaurants and a lounge are nearby. Golf and tennis facilities located nearby.